Just put your laundry in the wash on a regular cycle with these two ingredients and you will have fresh clean, stain-free laundry once you’re finished! As a new mom I’ve been doing extra laundry that has stains from baby poop, pee, sweat, spit-up… You name it! And a lot of baby’s clothes are white. I don’t have a lot of extra time to spend using spot removers or soaking clothes and I’m conscious about using gentle products in baby’s laundry. So what are they, you’re asking? All right, I’ll tell you! 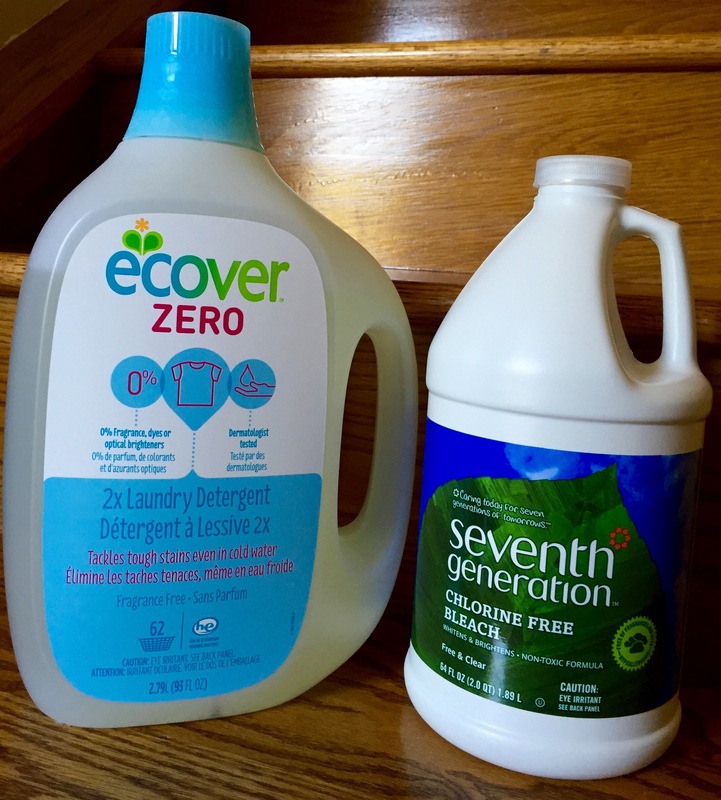 Add half a cap of Ecover Zero and about 1/2 a cup of the non-chlorine bleach to your regular cycle and stained clothes will come out clean! !